Jim and nephew Clint strolled into lodge shortly after the first chair started heading up. We pointed at fake watches and glared to give the overly punctual Jim a little taste of his own. Shortly after it was up the Comet Express and over to the Galaxy side to get fresh tracks and avoid any crowds that might start to form. Instead of cutting all the way over we dropped in on Galaxy. I was thinking it was good to be home, as we warmed up our legs on this wide open, moderately pitched blue. The fresh snow on top of the well groomed surface made for some great carving with the occasional shot of snow to the face. We stayed straight down to lower Galaxy and the Galaxy Express quad. Jim and my Dad always start at one side of the mountain and work their way over. After skiing their whole lives, they still want to get the most out of every lift ticket. We lapped Northstar and Galaxy enjoying the soft conditions just as the snow began to stop and the sun began to make an appearance. We tried our luck on Meteor, the right side was set up with moguls and jumps for the freestyle team but left side was all smooth sailing. 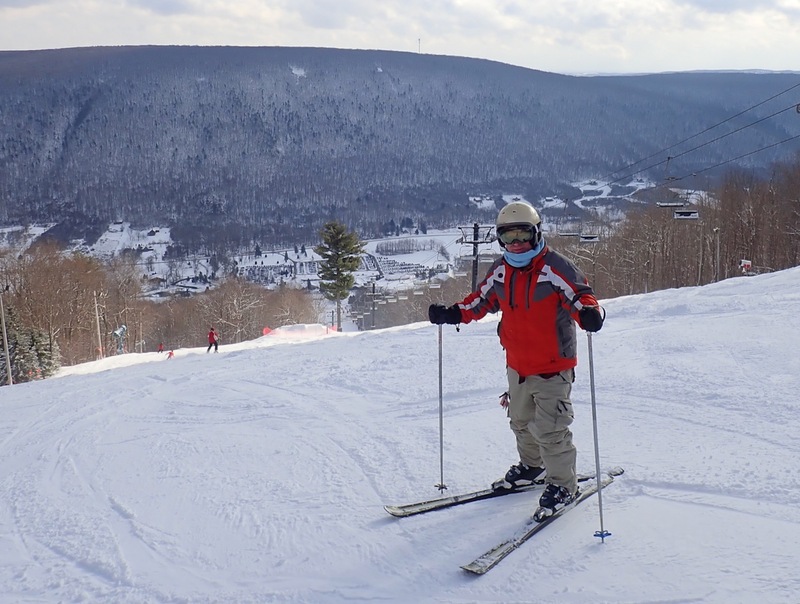 Rocket was a little more challenging with soft moguls at the top and snowmaking whales on the lower portion. We stopped at the base and regained our breath as Alex cruised in to join us. 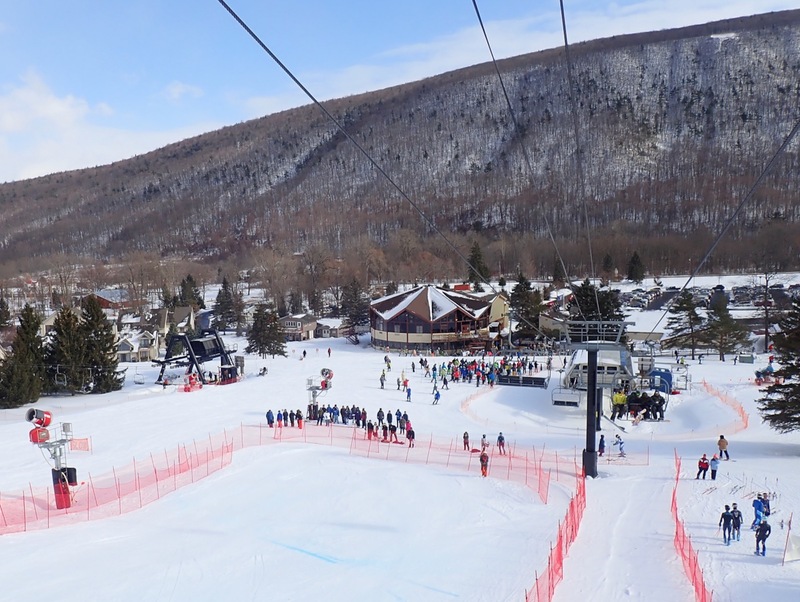 We rode the Morningstar chair lift to enjoy the mellow cruisers and the newly arrived sun. We passed the Waffle Cabin twice on Nova and Milky Way before deciding a break was necessary. Somehow, I convinced myself sausage was healthier than a waffle and I left regretting that decision. I soon forgot as we ripped down the picturesque tree framed Eclipse to the base area. We did a run down my childhood favorite, Southern Cross. This is a classic winding blue trail with lots of side hits and trees to play in on the way down. 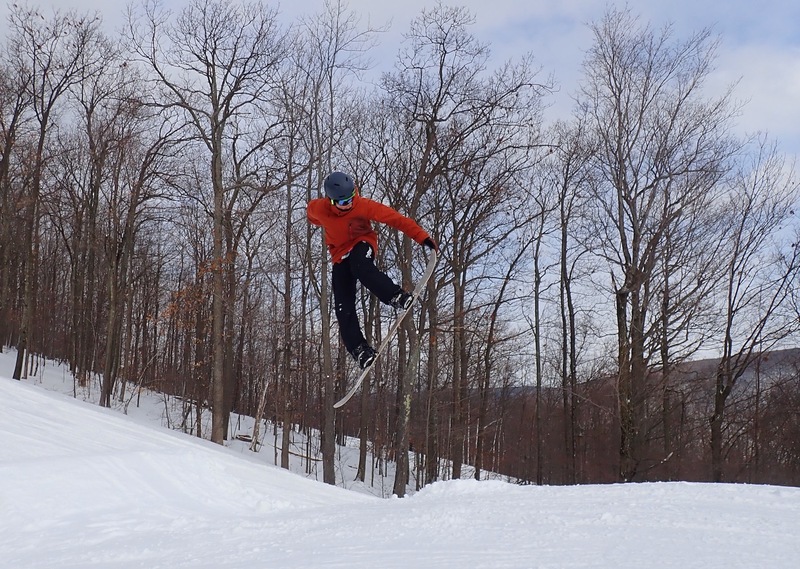 We popped out above the new Highpoint Terrain park and the Freestyle Aerial training jumps that the Chinese olympic team has been using. It’s hard to believe that anyone would hit these jumps that launch you straight up, so we were content to admire as we rode by. 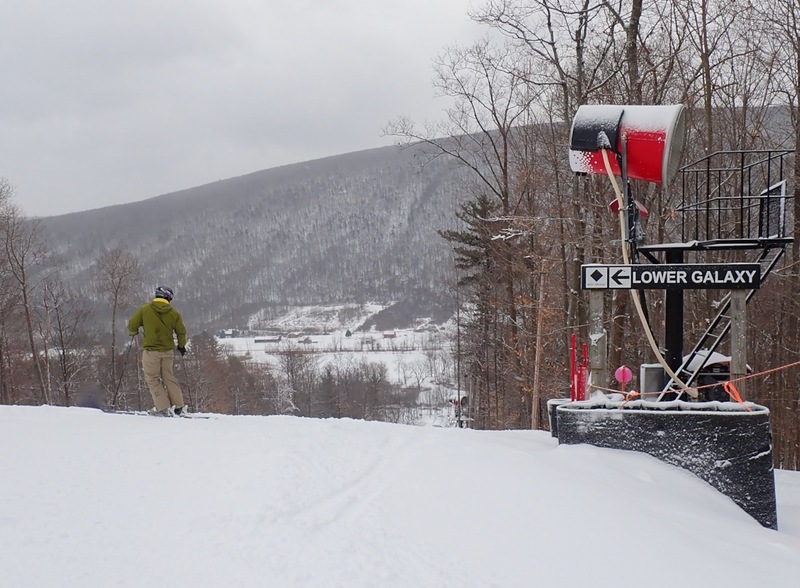 The guys decided they liked the snow on Universe enough to take one more run, so we headed down that before taking the big dipper connection back to Lower Meteor. I gave my Dad a hug and wished him Happy Birthday as he, Jim and Clint headed to the local restaurant up the road, Lock Stock and Barrel. Alex and I wanted to relive our childhood memories in the park off the Morningstar lift. 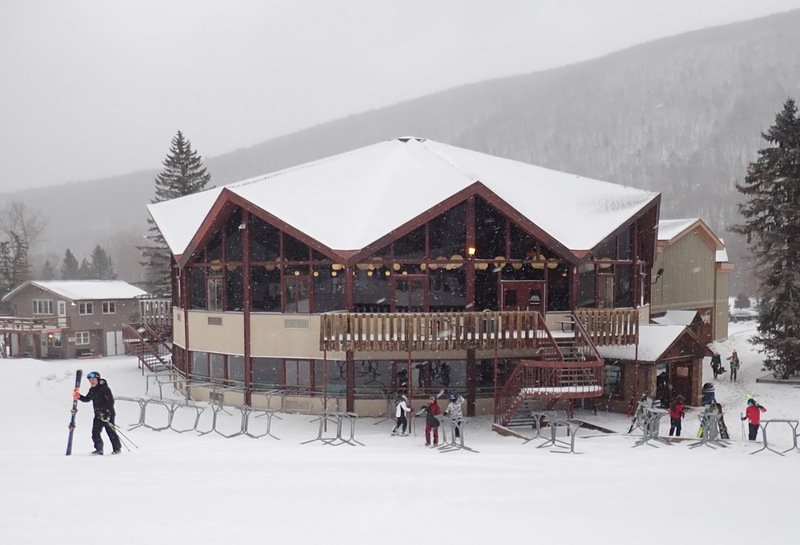 We used to freeze our butts off on this lift Wednesday nights, taking park laps during ski club. It’s where I fell in love with snowboarding and made some of my best friends. 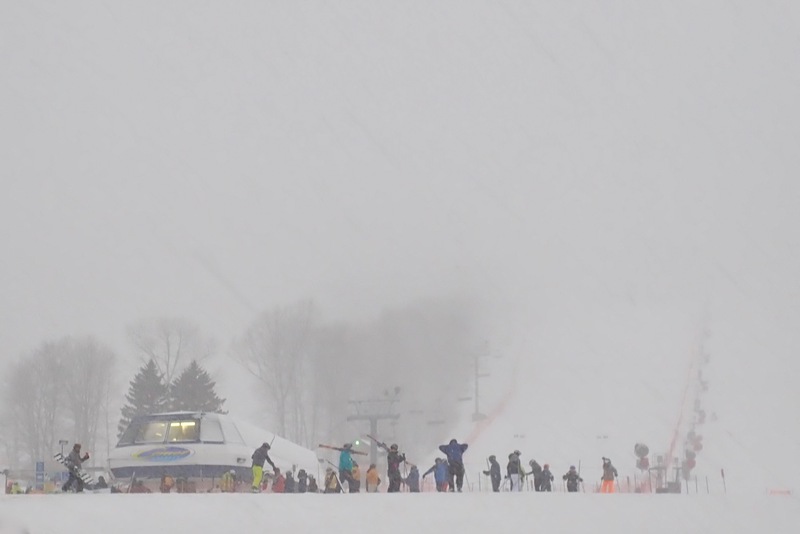 I was especially lucky to grow up skiing and riding at a place like Bristol. And it’s really all thanks to my parents, who made me take lessons, supported me, paid for it, helped me heal when I blew out both knees. So thanks Mom and Dad. Terrific article and a great mountain. Sounds like similar trail names as Crotched, always gotta thank mom and dad. Great article. Glad you didn’t get your dad’s writing genes. Its been on our playlist – Just so many places to visit and not enough time to shoot or take off. It’s our home mountain and we’re on our 24th year as passholders. No, it’s not VT, or the West, but it’s 45 minutes from home and with two detachable quads and great snowmaking we get a lot of vertical in. After our many years there we can always find someone to ski with. That is me standing inside the Super G finish in the orange pants and grey jacket. Pretty much perfect condtions for a Super G. A couple of my friends foreran it. If I’d known in advance, I might have, but I haven’t been on my Super G skis in a couple of years and I didn’t renew my USSA license this year. Excuses, excuses………..
Bristol has changed a lot since I first started skiing in the early 1980’s. Go to their website and click on the trail map. If you haven’t been there since the ’60’s you’ll be surprised.